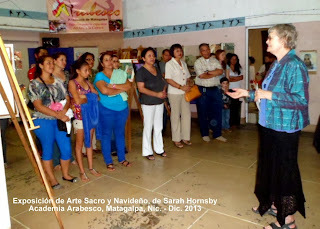 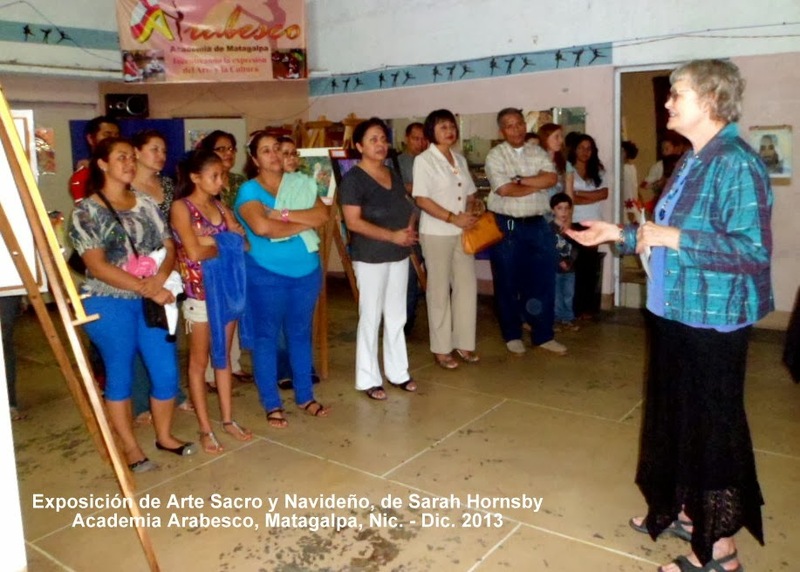 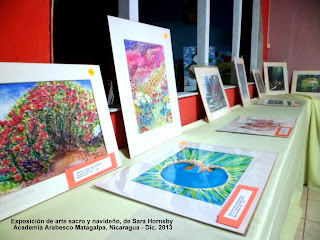 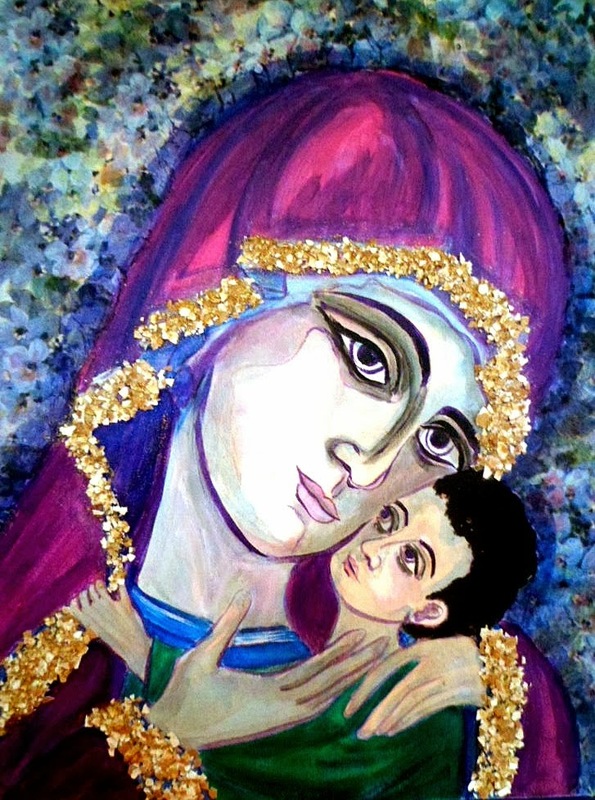 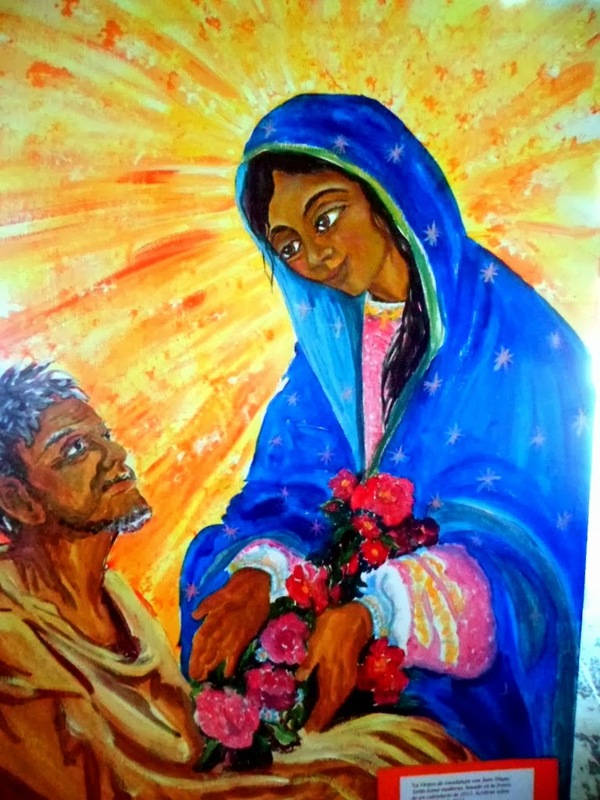 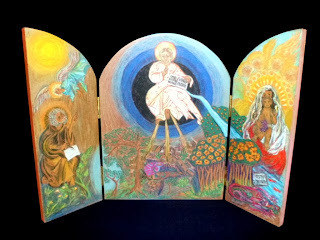 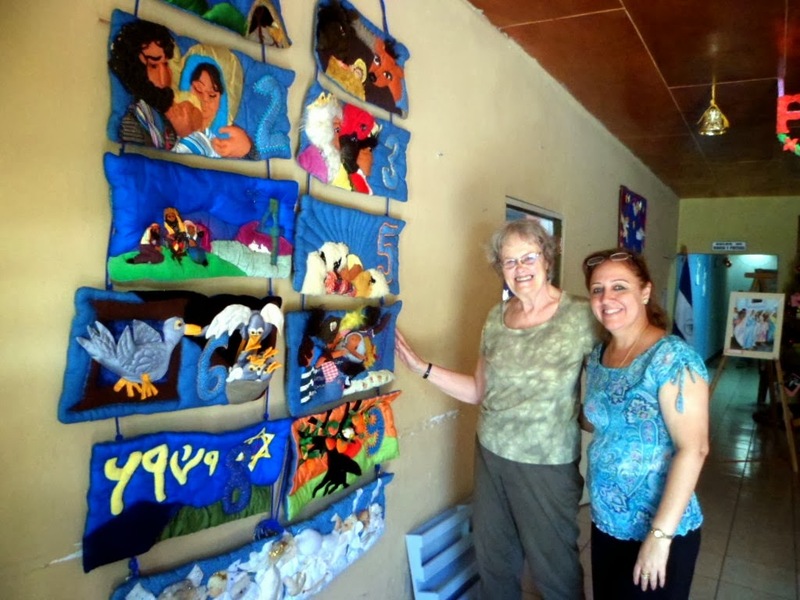 FOMENTANDO LA EXPRESIÓN DEL ARTE Y LA CULTURA - ARABESCO DE MATAGALPA, UNIÓ ESFUERZOS CON LA DESATACADA ARTISTA PLASTICA DE ORIGEN NORTEAMERICANO, SARAH HORNSBY - CON UNA NUTRIDA MUESTRA DE ICONOS RELIGIOSOS Y ESTAMPAS NAVIDEÑAS DE LA VIDA CULTURAL DE NICARAGUA. ARTE CON LAS MAS DIVERSAS TECNICAS DE EXPRESIÓN PLASTICA. 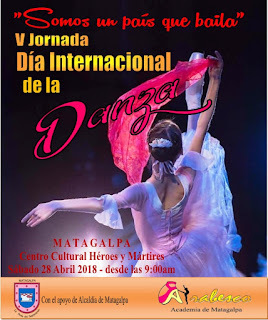 UNA NUTRIDA CONCURRENCIA DE LA COMUNIDAD ENTRE LOS QUE FIGURARON ARTISTAS, HISTORIADORES, PERSONALIDADES DEL MUNDO DE LA CULTURA Y LA EDUCACIÓN, MEDIOS DE COMUNICACIÓN. 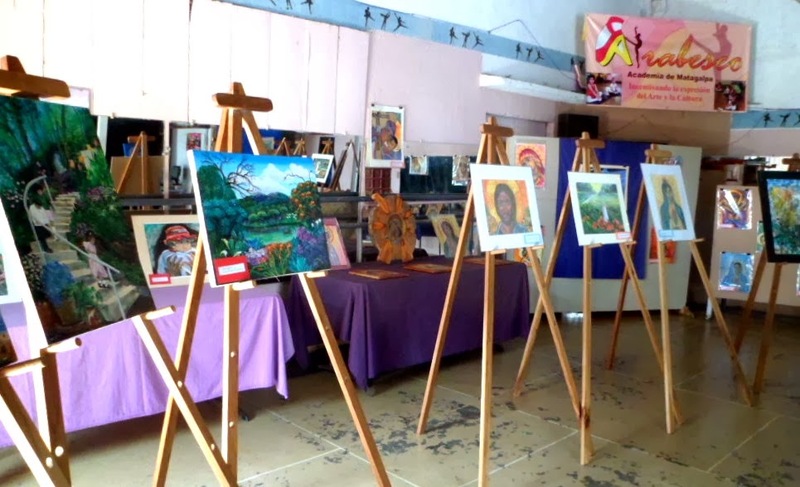 QUIENES DISFRUTARON DE ESTA EXCELENTE MUESTRA ARTISTICA. 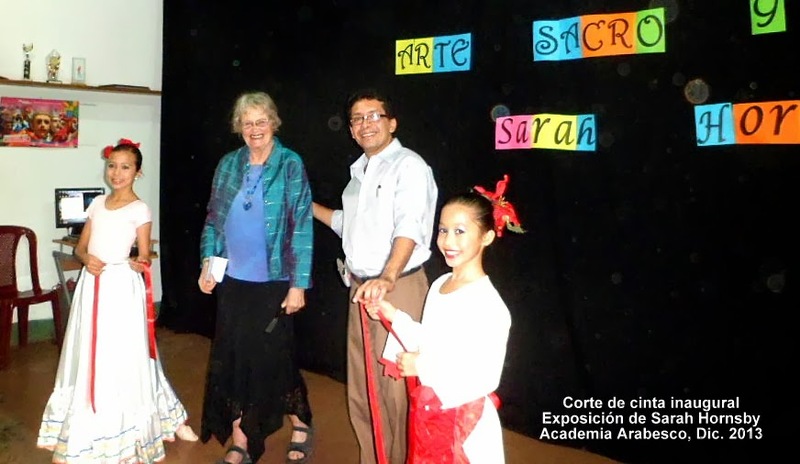 NUESTRO COMPROMISO ES Y SEGUIRÁ SIENDO LA DE LLEVAR MAS Y MEJORES MOMENTOS DE EDUCACIÓN A TRAVÉS DEL ARTE A LOS NORTEÑOS. 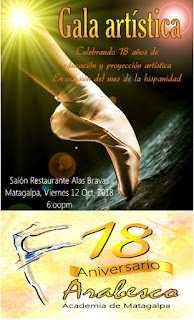 FELICIDADES A SARAH Y JIM , Y A MI ESPOSA ZORAIDA, MI IMPORTANTE APOYO- SARAH ESPINOZA, MARJORIE CHÉVEZ Y DEMAS PERSONAS QUE CONTRIBUYERON AL ÈXITO DE ESTA MUESTRA.